CLOSEOUTS. 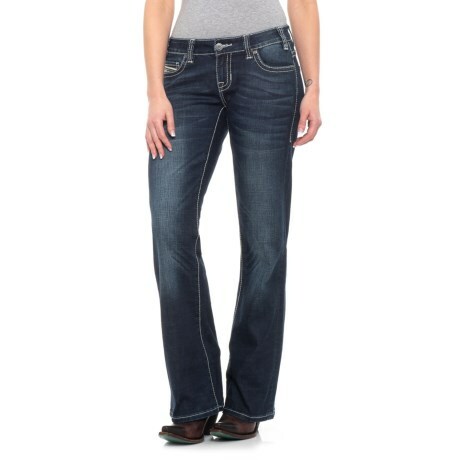 Infused with a touch of stretch, Rock andamp; Roll Cowgirland#39;s dark vintage wash CoolMaxand#174; multi-thread riding jeans bring western flair and movement-friendly comfort to your denim collection! Available Colors: DARK VINTAGE WASH.